The Lipinutragen company is a spin-off initiative approved by the Italian research institution Consiglio Nazionale delle Ricerche (CNR). It started from the research achievements made by two researchers – dr. Chryssostoms Chatgilialoglu and dr. Carla Ferreri – at ISOF Institute located in the Research Area of Bologna, Italy. The company object is the lipidomics of cell membranes related to life sciences, in particular medicine, genomics and nutrition. The company products are based on the latest findings in the field of lipidomics and the transformation of unsaturated lipids due to radical stress, which alter the quality and quantity of the lipids in the organism. 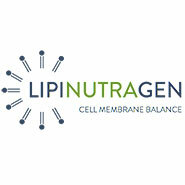 The products design and development made by Lipinutragen focus on the monitoring of the individual lipidomics, on the status of cell membranes and their dynamic changes, connecting them to dietary regimes, style of life and inherited factors.